2015 marks a huge milestone for Rocky Patel, and as any cigar fanatic knows, special anniversaries should always be celebrated with an equally special cigar! 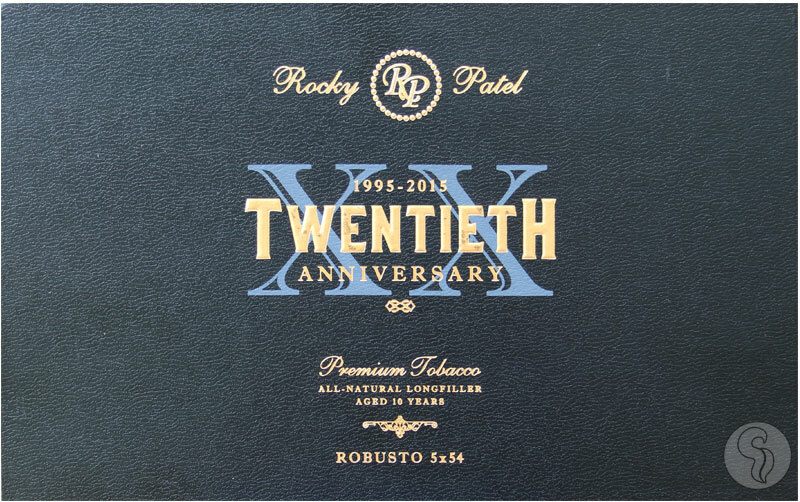 Continuing in the vein of the Rocky Patel Decade and Fifteenth Anniversary, the brand now proudly introduces the new Rocky Patel Twentieth Anniversary cigar. This significant blend has been under development for four years, meticulously crafting every component to ensure an unforgettable smoking experience. For the RP Twentieth, Rocky incorporates Nicaraguan and Honduran tobaccos, opting for premium fillers from EstelÃ­, Jalapa, and Jamastran Valley. A rich and oily Honduran wrapper completes the product, making for a full-flavored smoking experience complete with notes of citrus, rich coffee, cabinet spices, and milk chocolate.